Made from pure Fuchsite, a mineral with mica-like characteristics, this color creates a luminous pearly green shimmer. Soft, subtle with a pearly green shimmer, Fuchsite PrimaTek watercolor is luminous and elegant. 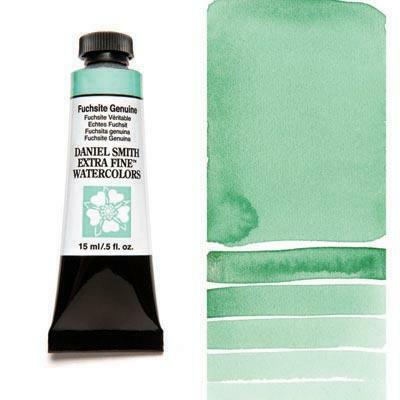 Made from pure Fuchsite, a Russian mineral, this transparent mineral color is great for layering delicate green to add luster and dimension to your paintings. Try glazing this over a stronger green to soften and enhance foliage or add it one subtle layer at a time to cool your study with a unique glow and non-traditional hue.